Gulf Industry magazine brings you the latest tenders available in the Gulf region. Supply, installation and programming of office telephones. • Bid bond is KD6,000. • Documents can be obtained from Kuwait Petroleum Corporation, tel: +965-24993000; fax: +965-24994991; website: www.kpc.com.kw, by payment of KD150. Supply, installation and operation of laboratory equipment for faculty of engineering and petroleum (civil engineering department) Kuwait University. 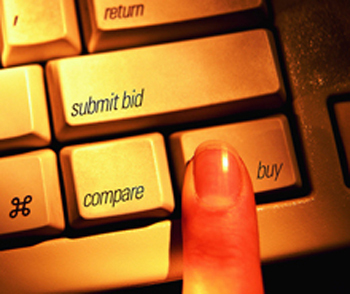 • Bid bond is 2 per cent of bid value. • Documents can be obtained from Kuwait University; tel+965-24985205; website: www.kuniv.edu, by payment of KD75. Supply, installation and testing of car radio equipment. • Documents can be obtained from Ministry of Information, tel +965-22326000; fax: +965-22437551, by payment of KD150. Supply, installation, operation and maintenance of gas turbine units to increase electric power station located at Electric Power and Water Distillation in the range of 500 MW. • Documents can be obtained from Ministry of Electricity & Water, tel: +965-25371000; fax: +965-25384522; website: http://mew.gov.kw/, by payment of KD1,000. Supply, installation and operation of data transfer and storage of ATMs and training on systems for Information Centre, department of operating systems of the Kuwait University. Supply of chilled water pump for Royal Hospital. • Documents can be obtained from Ministry of Health, tel: +968-24602307; website: www.moh.gov.om, by payment of OR25. • Documents can be obtained from Oman Oil Refineries and Petroleum Industries Company, tel: +968-24561200; fax: +968-24561384; website: http://www.orpic.om. Supply and installation of air blower unit for sewage treatment plant at Royal Hospital. • Bid bond is 1 per cent of bid value. website: www.moh.gov.om; by payment of OR25. Design, supply and installation of CRA tubulars and related services. Supply and installation of window and split air-conditioners for Al Khor Community. • Bid bond is QR500,000. • Documents can be obtained from Qatargas Operating Company; website: www.qatargas.com; by payment of QR1,000. Supply and installation of 7” SCSSV and related equipment and services. Supply of cables and 32 fibre optic cables. • Documents can be obtained from RasGas Company, tel: +974-44531032. Supply of isolator 66 KV mechanism for GIS supply. • Documents can be obtained from Qatar General Electricity & Water Corporation, tel: +974-44845555; website: www.km.qa, by payment of QR500. Supply, delivery, installation and commissioning of microbiology equipment and consumables. • Bid bond is QR30,000. • Documents can be obtained from Supreme Council of Health, fax:+974-44070861; website: www.sch.gov.qa, by payment of QR200. Replacement of gasoline storage tank, piping and fuel dispensers at Q-Chem. • Documents can be obtained from Qatar Chemical Company, tel: +974-44847111, fax: +974-44847695, by payment of QR1,000. • Documents can be obtained from King Fahd University of Petroleum and Minerals, tel: +966-8602500; fax: +966-8602345, by payment of SR3,000. Supply of pulse type self-cleaning inlet air filters and pre-filters for gas turbines at ‘D’ station repowering. • Tender bond is 5 per cent of bid value. • Documents can be obtained from Dubai Electricity & Water Authority, tel: +971-04-3244444; fax: +971-04-3248111; email: contracts@dewa.gov.ae; website: www.dewa.gov.ae, by payment of Dh500. Supply of cables and 32 fibre optic cables and concrete cable route marker. • Documents can be obtained from Federal Electricity & Water Authority, tel: +971-055-5542242; website: www.fewa.gov.ae, by payment of Dh3,000. Supply of medical equipment gigital fluoroscopy system with dual head contrast media inject for general purpose. • Documents can be obtained from Dubai Health Authority, tel: +971-04-3113113.